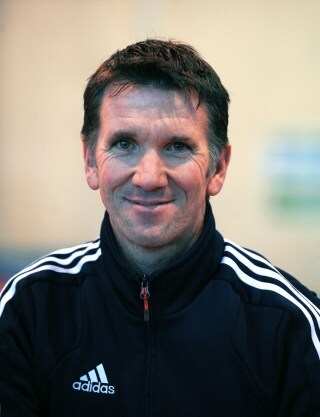 The Boston Athletic Association announced today that Terrence Mahon, former head coach of the Mammoth Track Club and for the last year the head endurance coach for British Athletics, has been hired to lead and coach a high performance distance running initiative for the organization. “Since I got here (January 2011) we’ve talked about the mission of the BAA going back to its beginnings. The mission has always been to promote health and fitness by 1) putting on events, which is what everyone sees; 2) developing community support for kids and adults alike; and 3) the development of excellent athletes. An All-American at Villanova Universtity, Mahon ran a PR 2:13:02 in the 1997 Chicago Marathon, and is also a former U.S. 20K road champion. Considered one of the country’s finest middle and long distance coaches, Mahon is credited with having developed or coached eight Olympians since 2005 including Deena Kastor, Anna Pierce, Morgan Uceny, Ryan Hall, and Jen Rhines. He began his coaching career in 2003 with renowned endurance coach Joe Vigil serving as his mentor. 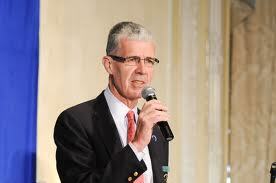 In 2003 and 2004, Mahon offered private coaching under his company Spiridon Running, LLC, in Bryn Mawr, Pennsylvania prior to taking the helm of Team Running USA, the elite group which would later become the Mammoth Track Club. Most recently, Mahon was employed by UK Athletics in England , where he served as Lead Endurance Coach. At the B.A.A. Mahon will work with head BAA coach Michael Pieroni to create a high performance running program consisting of U.S. athletes. Mahon will recruit and coach the high performance athletes, and Pieroni will continue to be the director of the entire club. Mahon, along with the athletes who will comprise the high performance group, will be based in Boston. Club members will compete under the B.A.A. name and affiliation. Yes, a man with his priorities in order. This is a very encouraging development that would have been unlikely to have happened without Tom Grilk. I have wondered for years why the BAA was not doing more with their own running club in terms of athlete development. It will be interesting to see what develops. WILL 1500m SPEED DETERMINE MARATHON LIMITS?